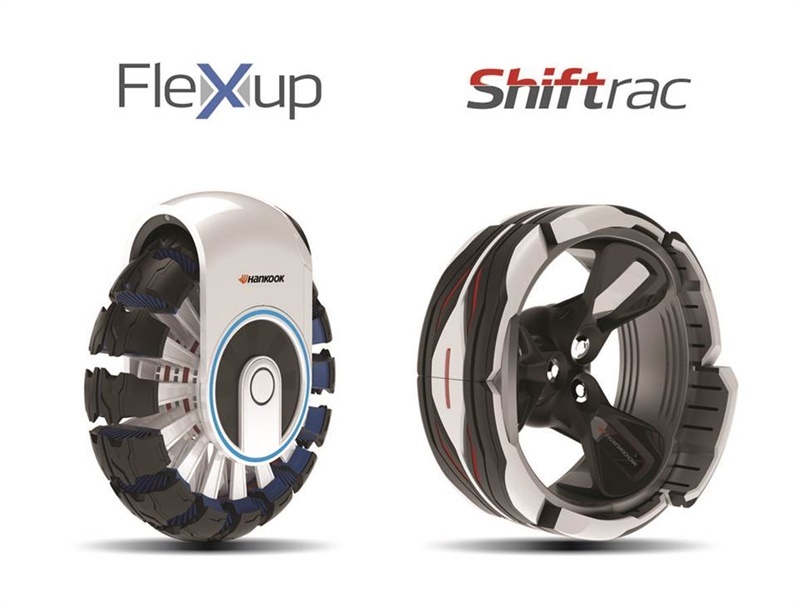 Hankook Tire Co. Ltd. has received recognition from the Industrial Design Society of America for two of its mobility concepts, the Flexup and the Shiftrac. The IDEA design awards recognize Hankook’s spirit of innovation. For the Flexup, Hankook received the IDEA award in the bronze category. The Flexup is essentially a one-person vehicle that can negotiate common features in urban environments like narrow roads, speedbumps and staircases. The vehicle uses driving treads that have the capacity to expand and contract and can attain a speed of about 20 mph. Shiftrac is a hyper agility-based concept tire that emerged as a finalist at the IDEA awards. The tyre, according to Hankook is meant to be used for smooth driving within a large city by employing block shifting and skating principles that push outwards. The design of this tyre facilitates more comfortable travel with fast lane change and precision when turning. Both the concepts were produced by Hankook as part of the tyre manufacturer’s Design Innovation 2016 program. As part of the programme, students from selected colleges and universities across the globe partnered with engineers from Hankook on design projects. Commenting on the recognition from IDEA, Seung Hwa Suh, vice chairman and CEO, Hankook Tire said that receiving awards from the top three design competitions in the world attests to Hankook Tire’s global recognition for innovative design philosophy capabilities for future driving. He said that Hankook Tire will continue to work extensively on design innovation for providing future motorists with a pleasant driving experience. Many Hankook tires and concept tires have received prestigious awards in the past. These include an IDEA 2015 award, the Luminary award at the Red Dot Awards and the iF Gold Award 2016.